Offering you a complete choice of products which include alloy steel coutersunk head cap screw, alloy steel counter head cap screw, stainless steel hexagonal head screw, stainless steel socket head cap screw, stainless steel coutersunk head cap screw and stainless steel counter head cap screw. NeelKamal steels are known for their quality products when it comes to steel products. It is the supplier of very high quality of Alloy Steel Coutersunk Head Cap Screw. Alloy Steel Coutersunk Head Cap Screw which are generally made up of stainless steel are of different grades. The grades determine the quality of the carbon.The lower grade products contains low amount of carbon in it. Grades 2, 5 and 8 are the standard screws. Grade 2 has the lowest content of carbon and hence it is the least durable. Screws are very widely used when it comes to automobile industries. Grade 8 screws are used for fastening of the automobiles.NeelKamal steels produce Alloy Steel Coutersunk Head Cap Screw with high quality of carbon so that the screws are not only durable but also are long lasting. 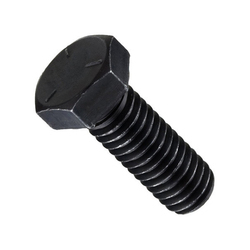 There are a wide range of these Alloy Steel Coutersunk Head Cap Screw so that our clients can get exactly the type he or she is looking for. NeelKamal steels are known for their quality products when it comes to steel products. It is the supplier of very high quality of Alloy Steel Couter Head Cap Screw. Alloy Steel Couter Head Cap Screw which are generally made up of stainless steel are of different grades. The grades determine the quality of the carbon.The lower grade products contains low amount of carbon in it. Grades 2, 5 and 8 are the standard screws. Grade 2 has the lowest content of carbon and hence it is the least durable. Screws are very widely used when it comes to automobile industries. Grade 8 screws are used for fastening of the automobiles.NeelKamal steels produce Alloy Steel Couter Head Cap Screw with high quality of carbon so that the screws are not only durable but also are long lasting. There are a wide range of these Alloy Steel Couter Head Cap Screw so that our clients can get exactly the type he or she is looking for. NeelKamal steels are known for their quality products when it comes to steel products. 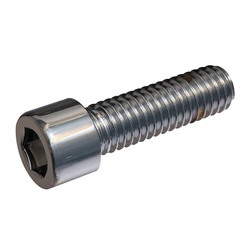 It is the supplier of very high quality of Stainless Steel Hexagonal Head Screw. Stainless Steel Hexagonal Head Screw which are generally made up of stainless steel are of different grades. The grades determine the quality of the carbon.The lower grade products contains low amount of carbon in it. Grades 2, 5 and 8 are the standard screws. Grade 2 has the lowest content of carbon and hence it is the least durable. Screws are very widely used when it comes to automobile industries. Grade 8 screws are used for fastening of the automobiles.NeelKamal steels produce Stainless Steel Hexagonal Head Screw with high quality of carbon so that the screws are not only durable but also are long lasting. There are a wide range of these Stainless Steel Hexagonal Head Screw so that our clients can get exactly the type he or she is looking for. NeelKamal steels are known for their quality products when it comes to steel products. 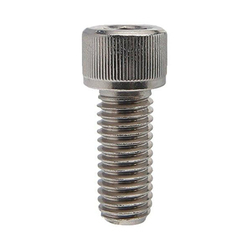 It is the supplier of very high quality of Stainless Steel Socket Head Cap Screw. 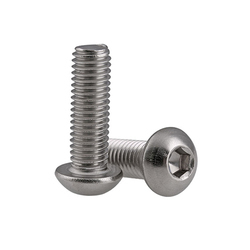 Stainless Steel Socket Head Cap Screw which are generally made up of stainless steel are of different grades. The grades determine the quality of the carbon.The lower grade products contains low amount of carbon in it. Grades 2, 5 and 8 are the standard screws. Grade 2 has the lowest content of carbon and hence it is the least durable. Screws are very widely used when it comes to automobile industries. 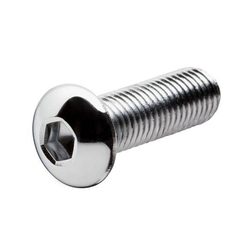 Grade 8 screws are used for fastening of the automobiles.NeelKamal steels produce Stainless Steel Socket Head Cap Screw with high quality of carbon so that the screws are not only durable but also are long lasting. There are a wide range of these Stainless Steel Socket Head Cap Screw so that our clients can get exactly the type he or she is looking for. NeelKamal steels are known for their quality products when it comes to steel products. It is the supplier of very high quality of Stainless Steel Coutersunk Head Cap Screw. Stainless Steel Coutersunk Head Cap Screw which are generally made up of stainless steel are of different grades. The grades determine the quality of the carbon.The lower grade products contains low amount of carbon in it. Grades 2, 5 and 8 are the standard screws. Grade 2 has the lowest content of carbon and hence it is the least durable. Screws are very widely used when it comes to automobile industries. 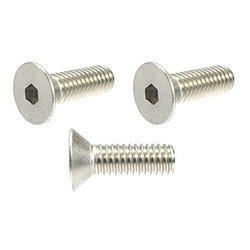 Grade 8 screws are used for fastening of the automobiles.NeelKamal steels produce Stainless Steel Coutersunk Head Cap Screw with high quality of carbon so that the screws are not only durable but also are long lasting. There are a wide range of these Stainless Steel Coutersunk Head Cap Screw so that our clients can get exactly the type he or she is looking for. NeelKamal steels are known for their quality products when it comes to steel products. It is the supplier of very high quality of Stainless Steel Couter Head Cap Screw. Stainless Steel Couter Head Cap Screw which are generally made up of stainless steel are of different grades. The grades determine the quality of the carbon.The lower grade products contains low amount of carbon in it. Grades 2, 5 and 8 are the standard screws. Grade 2 has the lowest content of carbon and hence it is the least durable. Screws are very widely used when it comes to automobile industries. Grade 8 screws are used for fastening of the automobiles.NeelKamal steels produce Stainless Steel Couter Head Cap Screw with high quality of carbon so that the screws are not only durable but also are long lasting. There are a wide range of these Stainless Steel Couter Head Cap Screw so that our clients can get exactly the type he or she is looking for. NeelKamal steels are known for their quality products when it comes to steel products. 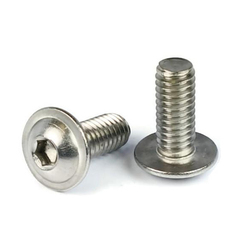 It is the supplier of very high quality of Stainless Steel Button Head Cap Screw. 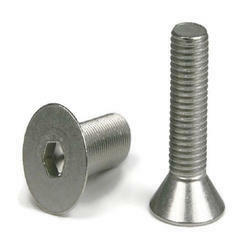 Stainless Steel Button Head Cap Screw which are generally made up of stainless steel are of different grades. The grades determine the quality of the carbon.The lower grade products contains low amount of carbon in it. Grades 2, 5 and 8 are the standard screws. Grade 2 has the lowest content of carbon and hence it is the least durable. Screws are very widely used when it comes to automobile industries. 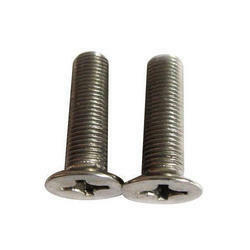 Grade 8 screws are used for fastening of the automobiles.NeelKamal steels produce Stainless Steel Button Head Cap Screw with high quality of carbon so that the screws are not only durable but also are long lasting. There are a wide range of these Stainless Steel Button Head Cap Screw so that our clients can get exactly the type he or she is looking for. NeelKamal steels are known for their quality products when it comes to steel products. It is the supplier of very high quality of Stainless Steel Socket Set Screw. Stainless Steel Socket Set Screw which are generally made up of stainless steel are of different grades. The grades determine the quality of the carbon.The lower grade products contains low amount of carbon in it. Grades 2, 5 and 8 are the standard screws. Grade 2 has the lowest content of carbon and hence it is the least durable. Screws are very widely used when it comes to automobile industries. Grade 8 screws are used for fastening of the automobiles.NeelKamal steels produce Stainless Steel Socket Set Screw with high quality of carbon so that the screws are not only durable but also are long lasting. There are a wide range of these Stainless Steel Socket Set Screw so that our clients can get exactly the type he or she is looking for. NeelKamal steels are known for their quality products when it comes to steel products. It is the supplier of very high quality of Nickel Alloys Hexagonal Head Screw. 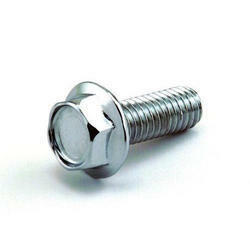 Nickel Alloys Hexagonal Head Screw which are generally made up of stainless steel are of different grades. The grades determine the quality of the carbon.The lower grade products contains low amount of carbon in it. Grades 2, 5 and 8 are the standard screws. Grade 2 has the lowest content of carbon and hence it is the least durable. Screws are very widely used when it comes to automobile industries. Grade 8 screws are used for fastening of the automobiles.NeelKamal steels produce Nickel Alloys Hexagonal Head Screw with high quality of carbon so that the screws are not only durable but also are long lasting. There are a wide range of these Nickel Alloys Hexagonal Head Screw so that our clients can get exactly the type he or she is looking for. NeelKamal steels are known for their quality products when it comes to steel products. It is the supplier of very high quality of Nickel Alloys Socket Head Cap Screw. Nickel Alloys Socket Head Cap Screw which are generally made up of stainless steel are of different grades. The grades determine the quality of the carbon.The lower grade products contains low amount of carbon in it. Grades 2, 5 and 8 are the standard screws. Grade 2 has the lowest content of carbon and hence it is the least durable. Screws are very widely used when it comes to automobile industries. Grade 8 screws are used for fastening of the automobiles.NeelKamal steels produce Nickel Alloys Socket Head Cap Screw with high quality of carbon so that the screws are not only durable but also are long lasting. There are a wide range of these Nickel Alloys Socket Head Cap Screw so that our clients can get exactly the type he or she is looking for. NeelKamal steels are known for their quality products when it comes to steel products. It is the supplier of very high quality of Nickel Alloys Coutersunk Head Cap Screw. Nickel Alloys Coutersunk Head Cap Screw which are generally made up of stainless steel are of different grades. The grades determine the quality of the carbon.The lower grade products contains low amount of carbon in it. Grades 2, 5 and 8 are the standard screws. Grade 2 has the lowest content of carbon and hence it is the least durable. Screws are very widely used when it comes to automobile industries. Grade 8 screws are used for fastening of the automobiles.NeelKamal steels produce Nickel Alloys Coutersunk Head Cap Screw with high quality of carbon so that the screws are not only durable but also are long lasting. There are a wide range of these Nickel Alloys Coutersunk Head Cap Screw so that our clients can get exactly the type he or she is looking for. NeelKamal steels are known for their quality products when it comes to steel products. It is the supplier of very high quality of Nickel Alloys Couter Head Cap Screw. Nickel Alloys Couter Head Cap Screw which are generally made up of stainless steel are of different grades. The grades determine the quality of the carbon.The lower grade products contains low amount of carbon in it. Grades 2, 5 and 8 are the standard screws. Grade 2 has the lowest content of carbon and hence it is the least durable. Screws are very widely used when it comes to automobile industries. Grade 8 screws are used for fastening of the automobiles.NeelKamal steels produce Nickel Alloys Couter Head Cap Screw with high quality of carbon so that the screws are not only durable but also are long lasting. There are a wide range of these Nickel Alloys Couter Head Cap Screw so that our clients can get exactly the type he or she is looking for. NeelKamal steels are known for their quality products when it comes to steel products. It is the supplier of very high quality of Nickel Alloys Button Head Cap Screw. 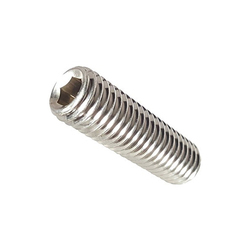 Nickel Alloys Button Head Cap Screw which are generally made up of stainless steel are of different grades. The grades determine the quality of the carbon.The lower grade products contains low amount of carbon in it. Grades 2, 5 and 8 are the standard screws. Grade 2 has the lowest content of carbon and hence it is the least durable. Screws are very widely used when it comes to automobile industries. 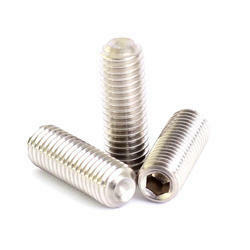 Grade 8 screws are used for fastening of the automobiles.NeelKamal steels produce Nickel Alloys Button Head Cap Screw with high quality of carbon so that the screws are not only durable but also are long lasting. There are a wide range of these Nickel Alloys Button Head Cap Screw so that our clients can get exactly the type he or she is looking for. NeelKamal steels are known for their quality products when it comes to steel products. It is the supplier of very high quality of Nickel Alloys Socket Set Screw. Nickel Alloys Socket Set Screw which are generally made up of stainless steel are of different grades. The grades determine the quality of the carbon.The lower grade products contains low amount of carbon in it. Grades 2, 5 and 8 are the standard screws. Grade 2 has the lowest content of carbon and hence it is the least durable. Screws are very widely used when it comes to automobile industries. Grade 8 screws are used for fastening of the automobiles.NeelKamal steels produce Nickel Alloys Socket Set Screw with high quality of carbon so that the screws are not only durable but also are long lasting. There are a wide range of these Nickel Alloys Socket Set Screw so that our clients can get exactly the type he or she is looking for. NeelKamal steels are known for their quality products when it comes to steel products. It is the supplier of very high quality of Carbon Steel Socket Head Cap Screw. Carbon Steel Socket Head Cap Screw which are generally made up of stainless steel are of different grades. The grades determine the quality of the carbon.The lower grade products contains low amount of carbon in it. Grades 2, 5 and 8 are the standard screws. Grade 2 has the lowest content of carbon and hence it is the least durable. Screws are very widely used when it comes to automobile industries. 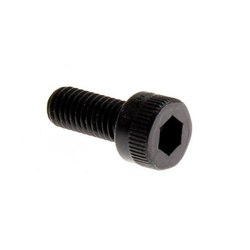 Grade 8 screws are used for fastening of the automobiles.NeelKamal steels produce Carbon Steel Socket Head Cap Screw with high quality of carbon so that the screws are not only durable but also are long lasting. There are a wide range of these Carbon Steel Socket Head Cap Screw so that our clients can get exactly the type he or she is looking for. NeelKamal steels are known for their quality products when it comes to steel products. 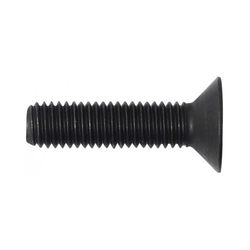 It is the supplier of very high quality of Carbon Steel Couter Head Cap Screw. Carbon Steel Couter Head Cap Screw which are generally made up of stainless steel are of different grades. The grades determine the quality of the carbon.The lower grade products contains low amount of carbon in it. Grades 2, 5 and 8 are the standard screws. Grade 2 has the lowest content of carbon and hence it is the least durable. Screws are very widely used when it comes to automobile industries. Grade 8 screws are used for fastening of the automobiles.NeelKamal steels produce Carbon Steel Couter Head Cap Screw with high quality of carbon so that the screws are not only durable but also are long lasting. There are a wide range of these Carbon Steel Couter Head Cap Screw so that our clients can get exactly the type he or she is looking for. Neel Kamal steels are known for their quality products when it comes to steel products. It is the supplier of very high quality of Carbon Steel Hexagonal Head Screw. Carbon Steel Hexagonal Head Screw which are generally made up of stainless steel are of different grades. The grades determine the quality of the carbon.The lower grade products contains low amount of carbon in it. Grades 2, 5 and 8 are the standard screws. Grade 2 has the lowest content of carbon and hence it is the least durable. Screws are very widely used when it comes to automobile industries. 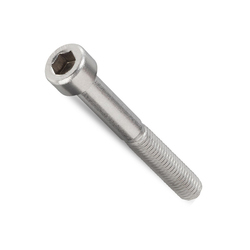 Grade 8 screws are used for fastening of the automobiles.Neel Kamal steels produce Carbon Steel Hexagonal Head Screw with high quality of carbon so that the screws are not only durable but also are long lasting. There are a wide range of these Carbon Steel Hexagonal Head Screw so that our clients can get exactly the type he or she is looking for.